As gasoline with higher blends of ethanol moves closer to the marketplace, there’s evidence to suggest government support of the ethanol industry is waning. In June, less than two weeks before the Environmental Protection Agency released its final rule on E15 pump labels and other requirements for selling gasoline blended with 15 percent ethanol, the U.S. Senate, in a mostly symbolic gesture, approved an amendment to end ethanol subsidies. In a 73-27 vote, the Senate backed an amendment by Sens. Dianne Feinstein, D-Calif., and Tom Coburn, R-Okla., that would have eliminated the tax credits, which cost the federal government about $6 billion a year, starting July 1. In addition to ending a 45-cent-a-gallon subsidy, the amendment would eliminate the 54-cent-a-gallon protective tariff that discourages imports. On June 28, the EPA issued fuel pump labeling and other requirements for E15 to help ensure that the fuel is properly used once it enters the market. 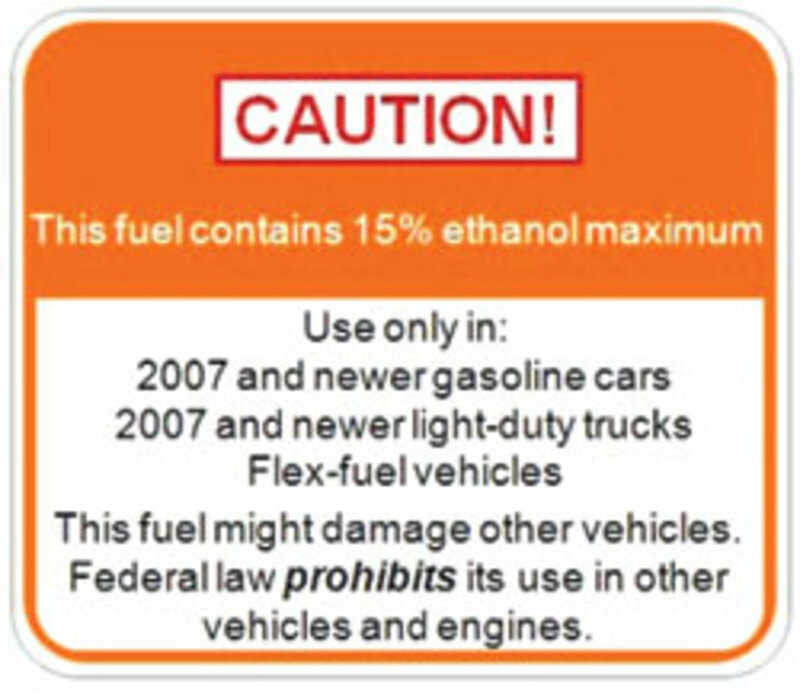 A new orange-and-black label must appear on fuel pumps that dispense E15 to inform consumers about the vehicles that can use the higher ethanol blend. The label also will warn consumers against using E15 in vehicles older than model-year 2001, boats, motorcycles and gasoline-powered equipment, such as lawnmowers and chainsaws. The NMMA and other groups say the label does not do enough to discourage misfueling. They say the label is only in English and does not specify the nature of the hazard if it is misused, that it was not tested through consumer focus groups, and it does not meet American National Standards Institute warning-label standards that require recognizable warning symbols and icons. Additionally, they say, the EPA is not requiring any physical misfueling controls for E15, will not conduct a consumer education campaign and will not require that E10 remains available. 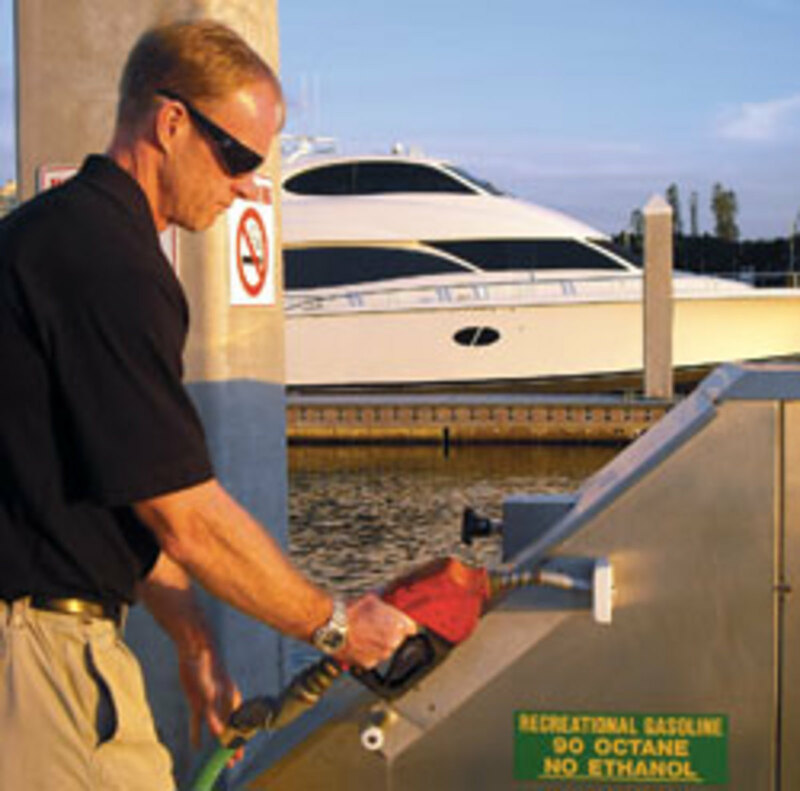 “Without this requirement [to keep E10 available], fuel for boats and other non-road engines and equipment will become an expensive specialty fuel, discouraging consumers from buying it and thus exacerbating the risk of misfueling,” Squires says. The National Petrochemical & Refiners Association also decried the EPA’s final ruling. “The last time EPA allowed two types of gasoline to be sold side by side at retail stations — when leaded gasoline was phased out in the 1970s — EPA’s own statistics reported that more than 20 percent of motorists mistakenly or intentionally misfueled their vehicles,” association president Charles Drevna said in a statement. “This high rate of misfueling occurred despite the fact that EPA mandated physical barriers — fill pipe restrictors on vehicles and smaller nozzles on gasoline retail dispensers — in addition to pump labels. EPA’s apparent conclusion that pump labels alone will educate and warn consumers about the dangers of E15 misfueling flies in the face of EPA’s own experience and data and could be classified as arbitrary,” he adds. In Iowa, legislation already has passed to make E15 more enticing for retailers, although it is the only state where that has occurred, Squires says. The EPA’s rule also includes a prohibition against misfueling with E15, a requirement to track E15 and other fuels as they move through the supply chain so E15 can be properly blended and labeled, and a quarterly survey to help ensure that gas pumps dispensing E15 are properly labeled. In addition, it modifies the Reformulated Gasoline Program to allow fuel producers to certify batches of E15 as complying with RFG standards. Although this final rule puts E15 one step closer to the marketplace, Squires says those who want to sell E15 must have EPA approval. As of June 29, only one petition to do so had been filed and it was pending, she says. The NMMA and its partners continue to press their lawsuit challenging E15. Last December, the Engine Products Group filed suit in the U.S. Court of Appeals for the D.C. Circuit challenging the EPA’s partial waiver approving E15 for certain motor vehicles. The group consists of the NMMA, the Outdoor Power Equipment Institute, the Alliance of Automobile Manufacturers and the Association of International Automobile Manufacturers. The briefing period has started, and briefs from both sides are due during the summer and fall. Final briefs are due in late October, and the group will seek oral arguments as soon as possible. Squires says she hopes to go to court by the end of the year and hopes a decision will be handed down quickly.